Welcome to Petite Provence, a 4 bedroom, 4.5 bath hidden oasis in the heart of historic Cloverdale-Idlewild. Built in 1965 by noted Montgomery architect John Shaffer for his family, this exquisite home incorporates reclaimed elements from some of Montgomery's grandest historic homes including rustic wide-plank heart pine floors, patinated copper shingle roof and antique beams. Now offered by the second owners who completed a thoughtful renovation designed by McAlpine architect Lida Cunningham Sease and using the highest quality materials, this home is one of the most unique properties in Montgomery. Situated on a private keyhole lot with nearly an acre of beautifully landscaped land full of lush mature foliage and flocks of beautiful song birds, one feels as if they are deep in the quiet country but with the convenience of Cloverdale's trendy shops, restaurants, playhouse and movie theatre just a short walk away. The ground floor of the 1.5 story main home features a large en-suite master bedroom with walk-in closet; a powder room with antique garden wall sink; formal living room with fireplace; formal dining room with murals depicting the grounds hand painted by local artists; a cozy bookcase lined library with fireplace; large, bright eat-in kitchen and charming screened porch. The second story includes two large bedrooms, a luxurious chromotherapy and sound soaking tub room and an additional full bath. The attached sunlit guest house boasts a bedroom, full bath, kitchen and large living area complete with fireplace and beautiful mural by local McAlpine architect and artist David Braly. Do schedule your appointment to experience this retreat-like home today, you will be enchanted! Want to live a short walk to Cloverdale hot spots and parks for under $136k? Need 3 bedrooms and 2 baths? Do you desire covered parking and a good size wired workshop large enough to put a car inside? 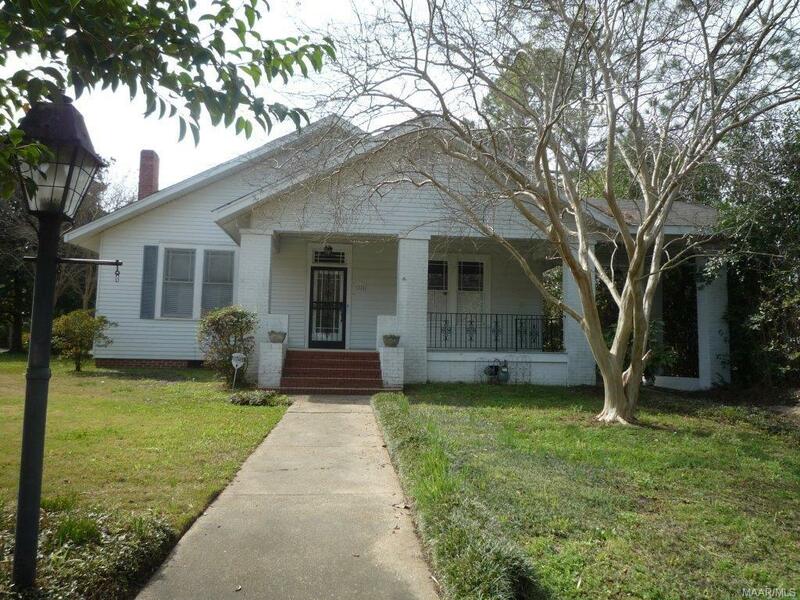 Look no further as an opportunity like this in Midtown Montgomery only comes along once in a blue moon! New roof and many more updates are included. Easy maintenance brick exterior will provide years of limited painting of only your trim. Enjoy a wonderful den with fireplace that opens to a kitchen with breakfast bar. Large detached and wired workshop for any need you desire. Pretty treed corner lot. 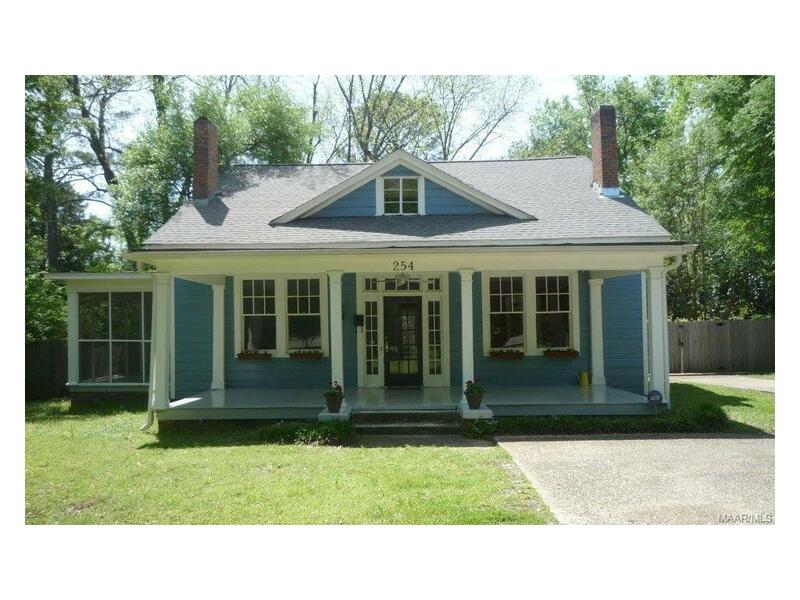 Call us or your agent to view this desirable property today! Lots of living space for the money! 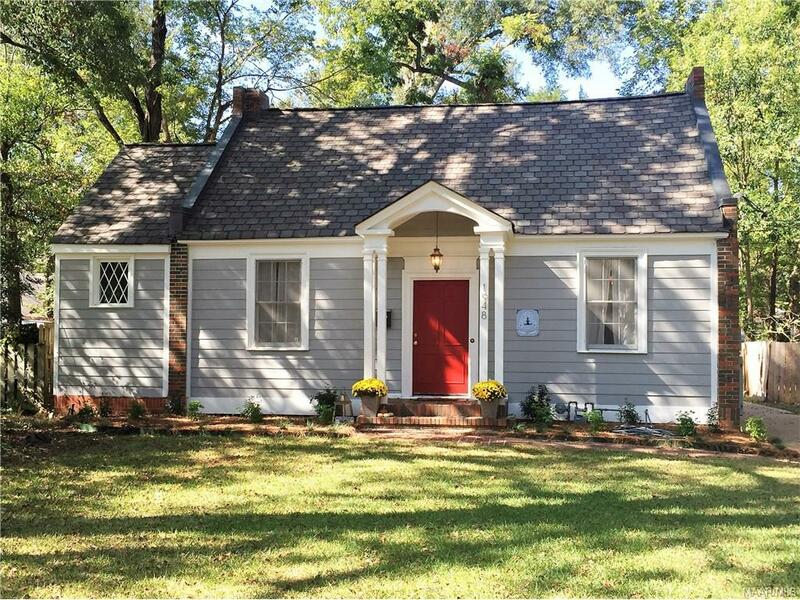 This recently updated charmer in Midtown has old world charm with plenty of room to spread out and enjoy living. Family-sized kitchen is nicely renovated and a joy to cook in. Butler's pantry/breakfast room has wonderful original built-in china storage and cabinets. Wide central hallway makes for great flow when entertaining, and large formal dining room is the perfect size for big gatherings. If you love spending time outdoors, this home affords many options like a big covered front porch, cozy screened-in side porch, and even a deck out back for cookouts and back-yard parties! Plus, don't miss the three finished, heated and cooled bonus rooms upstairs... great for additional bedrooms, playroom, work-out spaces, crafts, music, or office! If you are looking for Cloverdale charm AND convenience at an affordable price, look no further!! This is not your typical tiny Cloverdale cottage! Your family and friends will love the spacious, gracious rooms with old world charm and architectural details you have come to expect in this beautiful area. The central hallway makes for great flow when entertaining, and the spacious kitchen will be a gathering spot at family functions and parties. Two spacious bedrooms downstairs share a classic Cloverdale bath, and there are two more bedrooms and a bath upstairs for family or guests. Den/family room off the kitchen is large, and there is even a sun room. All this on a wonderful corner lot in Midtown Montgomery, full of mature trees and heirloom plantings. They just don't build them like this anymore! 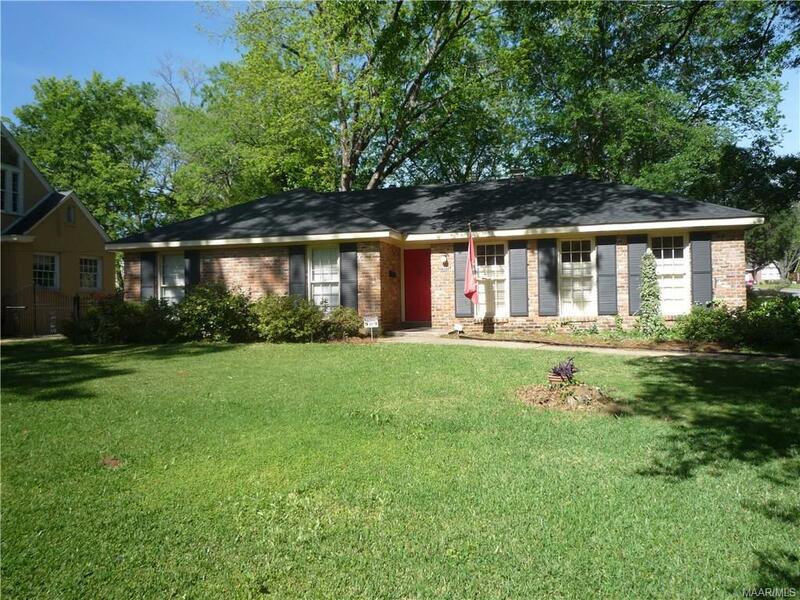 Built in the mid 1950's by the Liger family, this quaint home in the Midtown Montgomery area has living room, dining room AND a large den & family room. Both bedrooms are spacious enough for king beds, dressers, and other furniture. While mostly original, there is much room left in the price to make upgrades and personalize this solid home to your liking. Step inside and you'll know you're home. Family-perfect, this Garden District home in Midtown Montgomery puts you all within walking distance from so much entertainment in Midtown: children's matinees at the Capri Theatre, handmade gelato, pastries and pizza at Tomatino's and Cafe Louisa, Biscuits baseball games and seasonal activities in area parks. The hardwood floors, exquisite antique Italian marble mantle and original bathroom tile will make you think of bygone times and the updated kitchen - complete with stainless steel appliances - makes you ready for any meal request, no matter how big or small! Call us today at (334) 834-1500 to tour your new home! 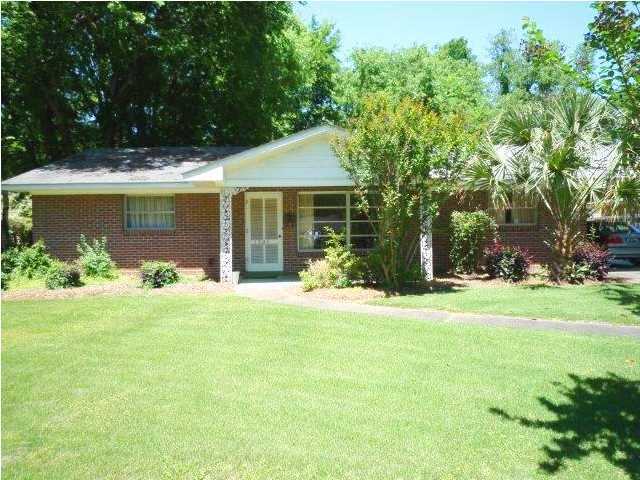 Here is the best example of move- in ready in Cloverdale! Just recently this home had a complete and total renovation. A brand new kitchen with granite island opens to the living area. A flat screen TV over the gas fireplace sets the stage for the perfect place to entertain. Master suite is down with a brand new bath with walk-in shower and an open floor plan. 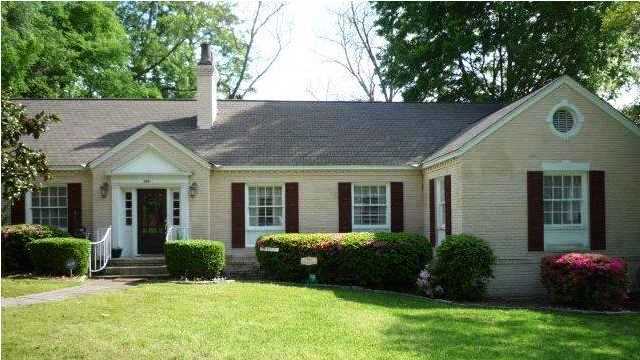 There are two additional bedrooms upstairs with Jack and Jill bath. Glass doors and windows all across the back provide tons of light and look out onto deck and back yard. Great location, check it out today! Marketed by Montgomery AL Realtor Sandra Nickel, Hat Team Realtors. Stunning Renovation in Garden District! 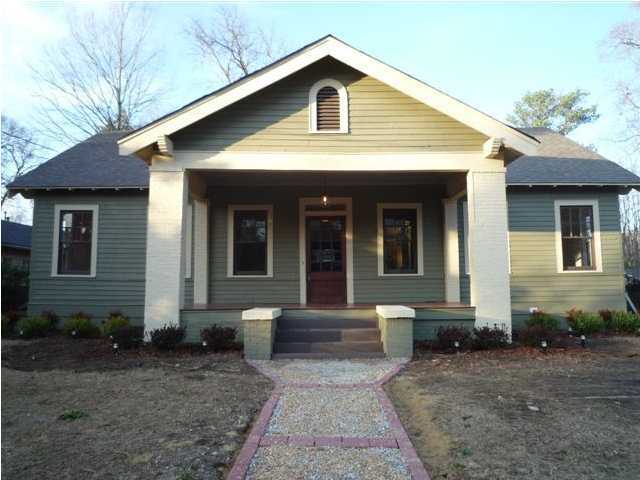 Incredible Craftsman style renovation on one of the Garden Districts best kept streets. Beautiful reclaimed columned mantle greets you upon entry into large formal living room with built in book cases. Gas logs for cozy nights by fireplace. Huge formal dining adjoins with widows on two sides with lots of sunlight. Three nice sized bedrooms and refinished floors will be the perfect complement to your furnishings. You will enjoy 18 inch hard tile flooring in kitchen as well as almost new appliances, cabinets, granite counter-tops, tile back splash, flush can lighting, bead board wainscoting and ceiling. Wonderful eat-in area off kitchen is conveniently located next to French doors to covered area perfect for cook outs. Back deck has commanding view of treed and private rear yard. Stunning main bathroom will wow you with nice fixtures, hard tile floor, vaulted ceiling, jetted tub and unique antique vanity with double sinks. Almost forgot to mention a real front porch for sitting and watching neighbors pass. Current owner has added a spacious detached out building that matches house for all your outdoor and yard things. Seize the opportunity to buy that rare vintage home with all the new things you would want in an old one. One year warranty included. Easy to show! Give us or your favorite agent a call today!